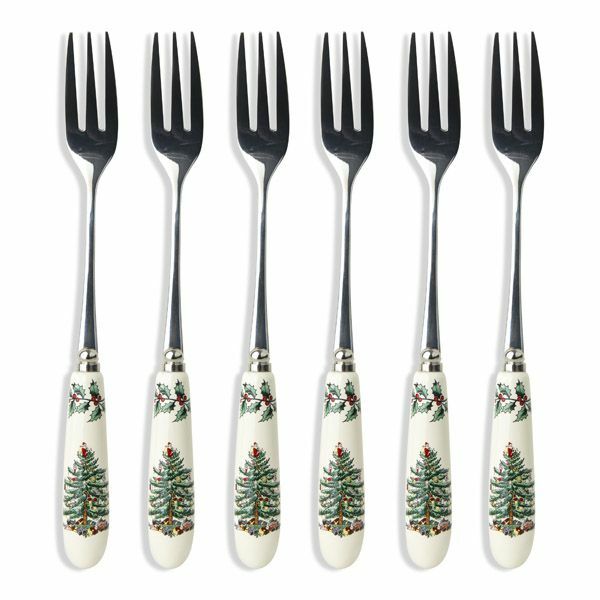 Designed in 1938, Spode Christmas Tree is a unique Christmas dinnerware pattern that is loved the world over. 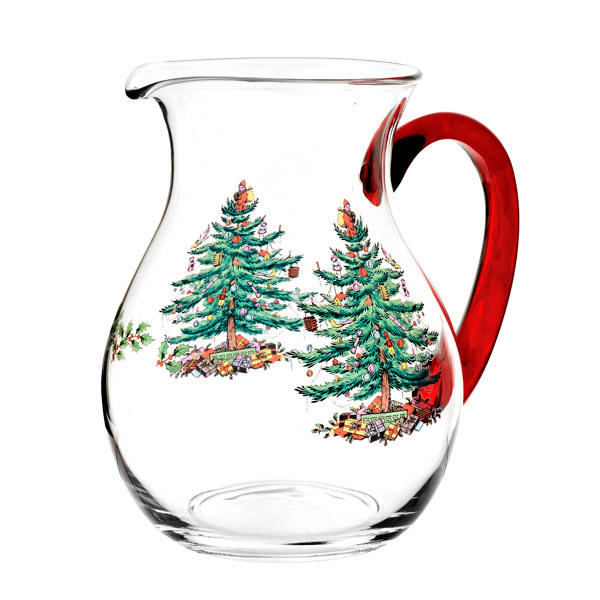 Taking center stage on each item in the line is a beautiful Christmas tree with colorful baubles hanging from the branches and a mound of presents underneath. In recent years the glassware items have become some of the most popular among the entire Spode Christmas Tree line. It is easy to see why that is. 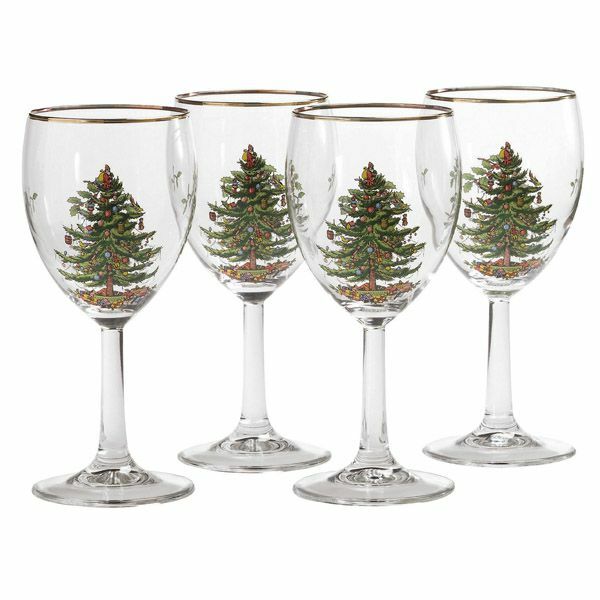 These beautiful glasses perfectly capture the holiday spirit. 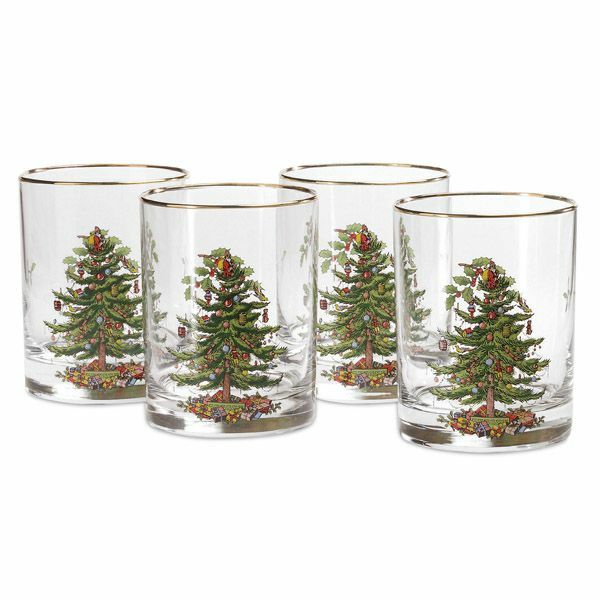 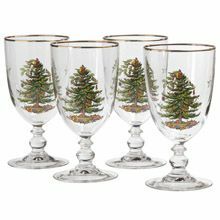 Even if you do not own the Christmas Tree dinnerware line you can certainly bring out and enjoy these glasses each year. 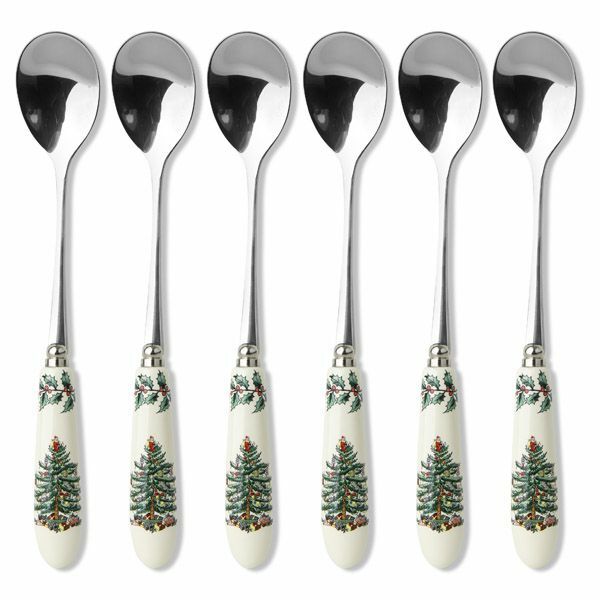 We also carry the Spode Christmas Tree dinnerware and stainless flatware items.